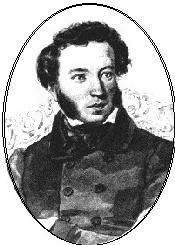 ﻿ Poetry Lovers' Page - Aleksandr Pushkin: "Tumansky's Right When He..."
You are here: Home » Russian Poets » Aleksandr Pushkin » "Tumansky's Right When He..."
ALEXANDR PUSHKIN: "Tumansky's Right When He..."
And just like her, you’re changeable in soul. And sting – let our Father bless you. And colder than he is, for sure.